The Game Bone deformation is different from the Bone deformation in which it is optimized for game engines such as Unity. Hence, it is usually only used for game development and not in animated productions. 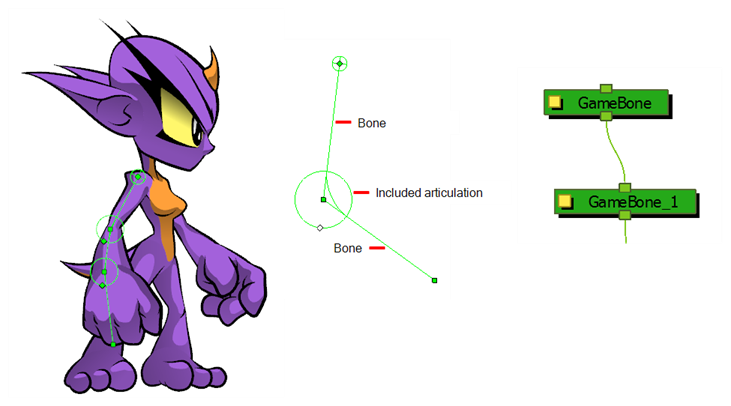 The differences between the Bone and Game Bone deformations are that Game Bone deformations do not have Bias and Region of Influence properties. The articulation folds also look slightly more rounded.